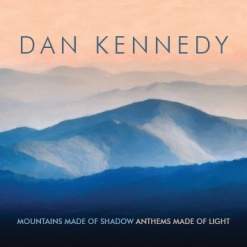 Mountains Made of Shadow, Anthems Made of Light is the fourth release from pianist/composer Dan Kennedy and his first all solo piano recording. 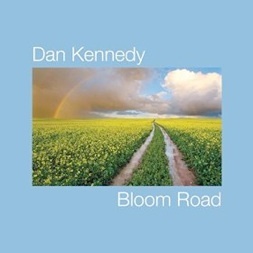 Recorded at Piano Haven Studio on Joe Bongiorno’s magnificent Shigeru Kawai grand, the piano sound is gorgeous and perfectly suited to Dan’s varied playing and composing styles. The twelve tracks are all original compositions and I think this is Dan’s best album to date. 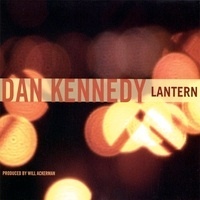 A Massachusetts native, Dan Kennedy started playing the piano at a very early age and continued his studies through college, earning a Master of Music degree from the New England Conservatory of Music. I was lucky enough to host a house concert here for Dan several years ago and loved his music played solo, so I’ve been waiting for this album for a long time! It was definitely worth the wait! Mountains Made of Shadow, Anthems Made of Light begins with “Chilly Morning,” one of my favorites. It is a slow, spare piece that reminds me a little of some of George Winston’s early music. Very open and still, it evokes images of waking up to a snow-covered scene that is quiet, peaceful and seems to say that all is well. Somewhat livelier, “Give It All Away” dances lightly while expressing emotions that are almost carefree (not quite!). The enchanting “Wintergreen” is wistful and bittersweet - another favorite. “Backstory” tells a colorful and emotional story that will likely mean something a little different to each listener. 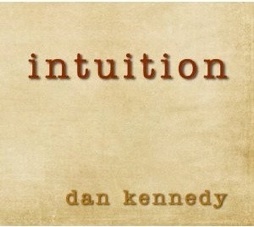 Reflective and thoughtful, it’s a wonderful expression that is both deeply personal and universal. “After the Heartache is Gone” is a beautiful ballad that expresses hope, but seems not quite over the heartache - very honest and moving. “California” picks up the tempo a bit with a feeling of moving forward and having a good time while exploring something new. “Ennio” is a little different with the sound of strings holding an extended tone in the background throughout the piece. The piano part is very open and spare, telling its story gently and without a lot of embellishment - another favorite. “Wildflower” does a wonderful job of describing the beauty and strength of a wildflower as well as the delight in finding it in an unexpected place. “Allelu” has the feeling of an old gospel hymn with a strong but simple melody and gentle accompaniment. “The Fire Within” brings this excellent album to a close with a piece that alternates a repeated pattern and a motif that uses jazz harmonies and discordances, building gradually to a passionate and dramatic end. Mountains Made of Shadow, Anthems Made of Light is available from Amazon, iTunes and CD Baby. Highly recommended!